Calibration Instrument is a comparison between measurements – one of known magnitude or correctness made or set with one device and another measurement made in as similar a way as possible with a second device. The calibration process begins with the design of the measuring instrument that needs to be calibrated. The design has to be able to "hold a calibration" through its calibration interval. In other words, the design has to be capable of measurements that are "within engineering tolerance" when used within the stated environmental conditions over some reasonable period of time. Having a design with these characteristics increases the likelihood of the actual measuring instruments performing as expected. To improve the quality of the calibration and have the results accepted by outside organizations it is desirable for the calibration and subsequent measurements to be "traceable" to the internationally defined measurement units. BTH, U.K. make Universal Process Calibrator-Model C9 is a very useful tool to calibrate many types of process control instruments which accept mV, mA and resistance inputs. This is designed to give highest stability and accuracy. The calibrator has a source & measure function & can be used for lab or field calibration of process control instruments, temperature & pressure transmitters, I/P convertors, field level transmitters, flow transmitters and a host of other instruments. Ace Instruments make Dry block Temperature Calibrators (AI-DBC Series) are widely used in Calibration labs, Pharmaceutical divisions, Thermal plants, metallurgical plants, cement plants, Fertilizers divisions, etc. for calibration of temperature sensors like RTDs , Thermocouples , temperature gauges, temperature switches & temperature transmitters, using the dry block to achieve uniform programmable temperature in the block as shown in digital readout display. Ace Instruments make Pressure Testers are a pressure generation unit to generate the required pressure for calibrating the pressure instruments with a comparison method.In this method generally pressure instruments are calibrated against a master insttrument.Scope of reference calibration is to minimize the time required for calibrating a pressure instrument. 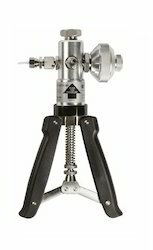 Generates pressure through hand operated swirling handle . Reservoir for water / oil . All wetted parts are in Stainless Steel. Extensively used for calibration of Pressure Gauges, Pressure Transmitters, Pressure Transducers, Pressure Switch, etc. 3/8” BSP (F) - 1 No., 1/2” BSP (F) - 1 No. Ace Instruments make Negative Dry block Temperature Calibrators are widely used in Calibration labs, Pharmaceutical divisions, Thermal plants, metallurgical plants, cement plants, Fertilizers divisions, etc. for calibration of temperature sensors like RTDs, Thermocouples, temperature gauges, temperature switches temperature transmitters, using the dry block to achieve uniform programmable temperature in the block as shown in digital readout display. The calibration range is from negative to positive i.e. -35 to 125 Deg C.
The field proven SI Make TP1-40 is a lightweight yet high quality combined pressure and vacuum hand pump. The TP1-40 has been designed to provide maximum pneumatic pressures efficiently and works effortlessly. High pneumatic pressure generation with minimal effort. Vacuum 0 to 28.5 in Hg. 8.5 in x 4 in x 2.5 in. 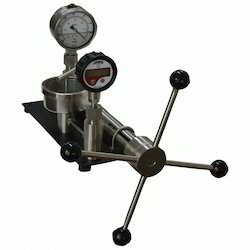 We offer Low Pressure Calibrator. easy-to-use calibrator.Use the measure and source functions to test and calibrate almost any process instrument or transmitter. GE Druck Dry Block Calibrators are versatile temperature calibrators that work by heating, and in many cases cooling, a metal block to a specific temperature and maintaining that temperature. GE Druck Dry Block Calibrators shows accurate temperature measurement is essential for maintaining product quality, process efficiency,regulatory compliance and operational safety in industrial processes.Temperature is the most commonly measured parameter in commercial and industrial settings. Industries as diverse as food processing, pharmaceuticals, cold storage, paper manufacturing, and others absolutely rely on process temperatures being within a certain range. 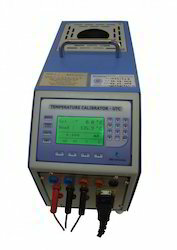 To maintain accuracy, calibrating temperature monitoring equipment is necessary.The GE Dry Block Temperature Calibrators provide solutions for testing temperature devices over a range of temperatures from -35°C to 650°C (-30°F to 1200°F) with a choice of dry block configurations to accommodate virtually any type, shape and size of sensor. 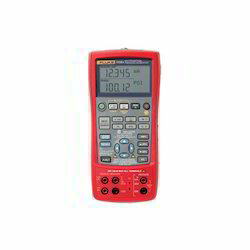 Digital Multimeter is compact, easy to use tools that deliver safe, reliable measurements. 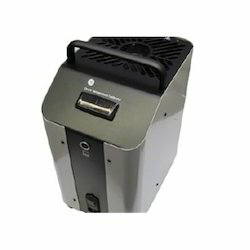 The Product is battery powered with a digital display with 4000 counts. 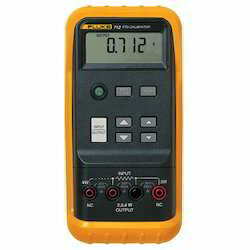 Digital Multimeter measures frequency and temperature at high accuracy. 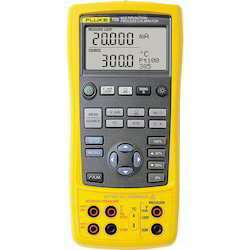 Temperature Calibrator is a handheld, battery-operated instrument. It measures and sources a variety of thermocouples and RTDs. 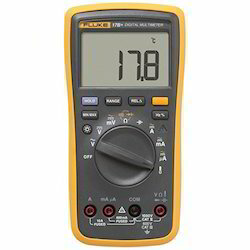 Fluke even handles high-speed pulsed RTD circuits and provides loop power and its dual display lets you source temperature and view loop current at the same time. RTD Calibrator is a handheld tool for calibrating RTD (Resistance Temperature Detector) transmitters, including most pulsed transmitters. RTD Calibrator simulates and measures seven different types of RTDs, in units of °C or °F. It also simulates and measures resistance in units of ohms. RTD Calibrator is EMI tolerant, dust and splash resistant, and features a removable battery door for quick battery changes. 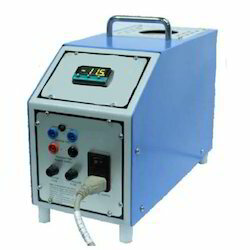 RTD Calibrator delivers outstanding performance, durability and reliability. It is a compact, lightweight. RTD Calibrator is easy to carry tool, with a push button interface similar to the multifunction Series Documenting Process Calibrators. The RTD Calibrator is EMI tolerant, dust and splash resistant, and features a removable battery door for quick battery changes. True-RMS Industrial Logging Multimeter with Trend Capture is the next generation high performance industrial logging multimeter designed to solve complex problems in electronics, plant automation, power distribution, and electro-mechanical equipment. With the ability to log data and review it graphically on-screen, you can solve problems faster and help minimize downtime. You can communicate wirelessly with your iOS and Android smart devices with the Fluke Connect mobile app and ir3000 FC wireless connector. • True-rms Industrial Logging Multimeter displays logged data session to quickly determine whether anomalies may have occurred. • Adjustable recording and auto hold thresholds, specify a percentage change in the readings that begins a new event. • Relative mode to remove test lead resistance from low ohms or capacitance measurements. 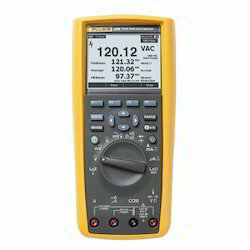 • True-RMS ac voltage and current for accurate measurements on non-linear signals. 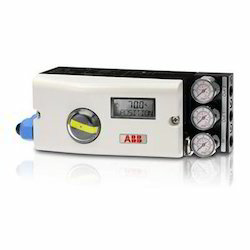 ABB Electro-Pneumatic Positioner is an electronically configurable positioner with communication capabilities designed for mounting to pneumatic linear or rotary actuators. It features a small and compact design, a modular construction, and an excellent cost-performance ratio. Fully automatic determination of the control parameters and adaptation to the final control element yield considerable time savings and an optimal control behaviour. 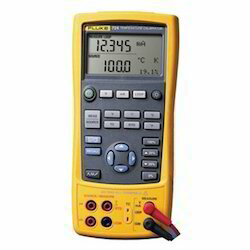 Fluke make Ex intrinsically safe multifunction process calibrator is powerful yet easy-to-use. Combined with one of the Fluke 700PEx pressure modules, is able to calibrate almost any process instrument likely to need service in an area where explosive gases may be present. Fluke make Ex intrinsically safe multifunction process calibrator meets ATEX II 1G EEx ia IIB 171 °C KEMA 04ATEX 1303X safety standard and I.S. Class I, Division 1 Groups B-D, 171 °C compliance. It's rugged and reliable for field use and has a simple, push-button user interface and can store frequently-used test setups for later use. 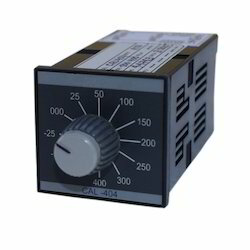 The Multifunction process calibrator can be used to measure volts dc, mA, RTDs, thermocouples, frequency and ohms. Magnehelic Gauge Calibrator consists of a portable hand pump & a Digital Master Gauge with Selectable engineering units. The Portable Hand Pump is a light weight pneumatic pump used to generate air pressure for calibration of Analog Magnehelic Gauges, Differential Pressure Transmitters, Differential Pressure Indicators & Low Pressure Instruments. Pressure is generated using the hand pump with provision of Fine & Coarse Pressure Adjustment. The pump is provided with 2 Pressure Ports, one for the Master Digital Gauge & one for the Magnehelic Gauge/Transmitter (Unit Under Calibration). The Pneumatic Hand Pump is capable of generating both positive & negative pressure for calibration of various low pressure gauges & transmitters. The range of the pump is from - 3000 mm.W.C. upto 10,000 mm.W.C. The Master Digital Pressure Gauge is imported & has front key selectable engineering units between mm.W.C., Pascals, hPa, mBar, mm.Hg., In. Hg., In.W.C. & PSI. The Digital Differential Pressure Gauge can measure from 0 to +/- 1000mm.W.C. Looking for Calibration Instrument ?